Man terminates car lease under special promotion. Then a collection agency came knocking. What happens to student loans when borrower dies? 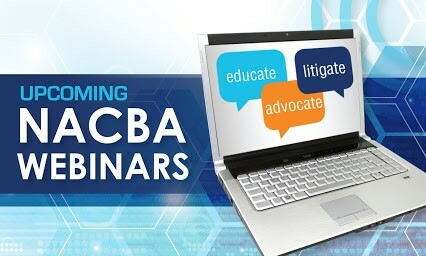 REGISTER FOR NACBA’S SEPTEMBER WEBINAR! Presenters: Gene Melchionne, Esq. & Jim Haller, Esq. What are the fastest least expensive methods to get accurate values for your client’s assets? Gene and Jim will discuss time tested methods to determine values on real estate, vehicles, and other property. Join us to learn how to save time and money while increasing the accuracy of your information. Why Are Millennials Still Living With Their Parents? REGISTER FOR NACBA’S LIVE WEBINAR HAPPENING TOMORROW! CHECK OUT OTHER UPCOMING NACBA LIVE WEBINARS! Have you been referring your Chapter 11 cases to outside counsel? Are you curious about the similarities and whether you can file these cases? Dan Press, a leading author and practitioner in individual chapter 11 cases, will present an introduction to chapter 11 practice involving consumer debtors. He will discuss when this chapter is useful, the similarities and differences to chapter 13 practice, and how to conduct a chapter 11 practice. HAVE YOU SEEN THE LATEST CONSUMER BANKRUPTCY JOURNAL? BE SURE TO SAVE THE DATES FOR NACBA’S 27TH ANNUAL CONVENTION IN CLEVELAND! Register for Taxes in Bankruptcy 2018! This is not your grandfather’s tax and bankruptcy workshop. Join our expert panelists who will discuss new issues, cases and methods to address tax debt. From general discharging taxes in bankruptcy to automatic stays to tax case law and statutory updates to phantom real property gains and cancellation of debt income, this is exactly the type of CLE accredited seminar that can help expand one’s practice considerably! The panelists will present new information impacting your bankruptcy practice and cutting-edge case law not discussed or outlined at previous NACBA conventions or webinars. Establish a niche for yourself as a bankruptcy tax attorney. If you cannot participate on either Thursday August 2 and or Friday August 3, the workshop will be recorded and accessible on demand. However, you MUST register prior to August 2, 2018. This workshop will accredited for continuing legal education credits. State approval and number of credits will be posted/ updated to this page as approvals are received. Attendees will receive certificate of completion. Includes: Materials, CLE Credits, Certificate of Completion and Unlimited Viewing. Regulation X & Z Enforcement: New Tools for Consumer Attorneys: Provides an overview of federal Regulation X and Regulation Z and demonstrates how these laws can empower consumers and their counsel. The presentation outlines specific errors prohibited by these regulations. Presenters will walk participants through examples of actual Requests for Information and Notices of Error used daily by The Dann Law Firm. Getting Paid Hourly Fee vs. No Look Fees: This panel will discuss when to use the “No-Look” fees and when not to, how to challenge Court assumptions about fees, and the best strategies to maximize your fees. Know the Codes, Nuances, & Strategies of Taxes in Bankruptcy: A deep dive look into the complexities of taxes in bankruptcy. Student Loans in Chapter 13:This panel will explore means of combining alternative, non-bankruptcy relief, including claims objections, administrative discharges and income driven repayment plans with your Chapter 13 practice to provide additional assistance for your clients and additional sources of revenue for attorneys. Take a look at the full Schedule and start planning your days at #NACBA25! HAVE YOU REGISTERED FOR APRIL’S WEBINAR? Registration deadline: 4/11/16 at 2PM Eastern. In Harris v. Veigelhan, the Supreme Court resolved a disagreement among courts over the question of whether a debtor or his creditors should receive funds derived from the debtor’s post-petition wages held by the trustee under a confirmed chapter 13 plan when the case is converted to chapter 7 in good faith. In a clear, concise, and narrowly focused decision the Court ruled in the debtor’s favor. Subsequently, some courts have applied Harris broadly to deny payment of debtor’s counsel in other circumstances. This webinar will review the various post-Harris cases that have been decided and offer practical suggestions for ways in which debtor’s counsel can get paid in unsuccessful chapter 13 cases. If you are unable to participate in webinar at scheduled time, register by 4/11/16 at 2 PM Eastern and you will receive recording, materials and discounted pricing. After 4/11/16, the webinar will be available in the NACBA Store. 48 DAYS REMAIN UNTIL #NACABSF 2016! HAVE YOU REGISTERED? Isn’t time you update that ten-year old photo on your website, business card, Linkedin or bio? NACBA is providing attendees with a FREE professional headshot. Give your personal brand a boost with a professional headshot. After your photos are taken, you’ll be able to review and choose the final digital images emailed directly to you. 2 weeks left to Register at the Early Bird Rate. NACBASF and NACBA’s Fall Workshop Summit is the perfect opportunity to be an exhibitor or sponsor to showcase your product. Learn more about how you can participate in the 2016 Prospectus. Why not mix a little work with a little play! Earn CLE while you have some fun at NACBA’s Fall Workshop Summit at Sea, October 7th-10th, 2016. The location might be unexpected, but the education provided aboard will be what NACBA members have come to expect from our educational programs. Save the Date and come sail away with NACBA! With so many exciting educational events and networking opportunities on the horizon don’t forget to renew your NACBA Membership! Renew Today! Not a member of NACBA? Take advantage of all the benefits NACBA Members receive and Join NACBA Today! The National Association of Consumer Bankruptcy Attorneys (NACBA) announced that California attorney Jenny L. Doling of the Law Offices of Jenny L. Doling, A.P.L.C. in Palm Desert, California will serve as its new state chair representing the entire Central District of California, the largest district in the Country. As NACBA’s state chair for the Central District of California, Doling will serve as the official liaison between the group’s leadership in Washington, D.C. and its member attorneys, bankruptcy judges, and other court officials in the state, as well as serving as a primary contact for local media regarding consumer bankruptcy issues. Serving approximately 3,500 members in all 50 states and Puerto Rico, NACBA is the only national organization dedicated to serving the needs of consumer bankruptcy attorneys and protecting the rights of consumer debtors in bankruptcy. Jenny Doling has been working with consumer debtors for nearly 20 years, and is licensed to practice law in California and Nevada. She has several reported cases in the Central District of California and the 9th Circuit BAP. Doling is a Professor of Bankruptcy Law for the California Desert Trial Academy. In addition, she is an active member of NACBA, and the California Bar Association. She also serves on the Board of the Inland Empire Bankruptcy Forum (IEBF). 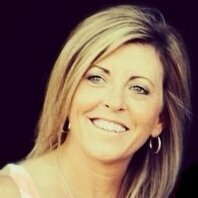 Doling is a frequent panel speaker at continuing education conferences for IEBF, NACBA, NACTT, and NCBJ.